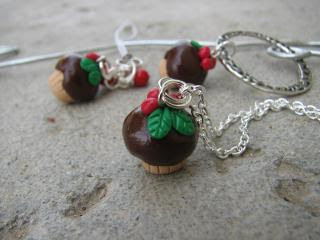 And thank you to Wired Whimsy for making such a cute chocolate set - the necklace, bookmark, and purse charm!! I'm so excited that one of you will have a matching set! If you didn't win, I'm sure you can find something sweet to order for yourself from Wired Whimsy! She's in the process of listing several new items! Congrats! You will be ever so happy I tell you. Her work is awesome!